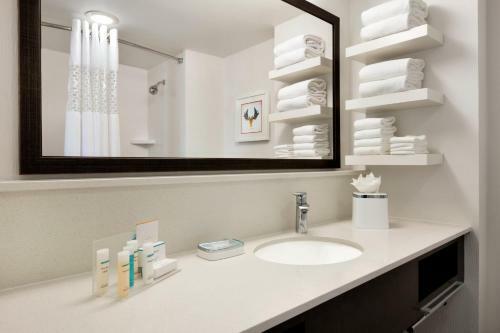 Rooms from $116.10 per night. 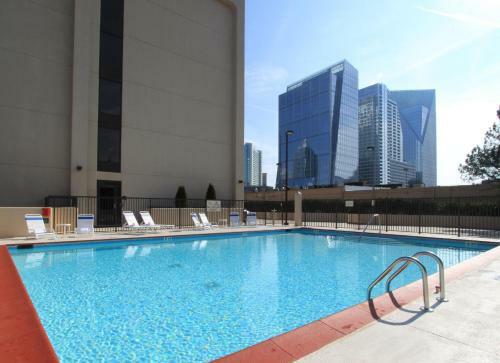 A sparkling outdoor pool free breakfast and complimentary internet please our guests at the non-smoking Hampton Inn Atlanta Buckhead. 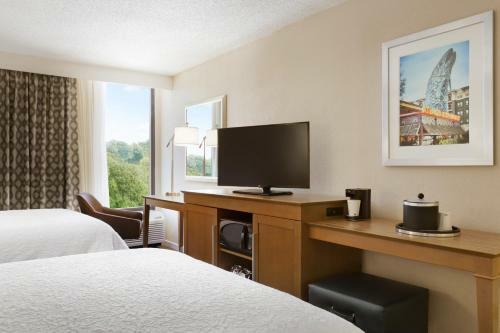 The mid-rise non-smoking Hampton Inn houses 100 rooms all with free Wi-Fi (available throughout the property) cable TVs coffeemakers work desks and complimentary local calling. 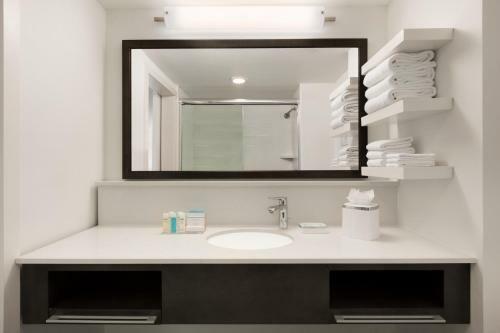 Some rooms have microwaves and refrigerators. 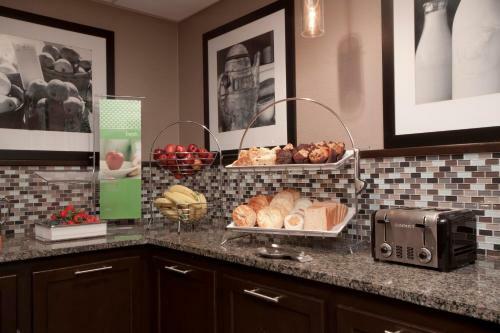 The hotel's complimentary breakfast buffet features a rotating menu of hot waffles fruit yogurt cereal and plenty of hot coffee and tea. The business center offers copy services. 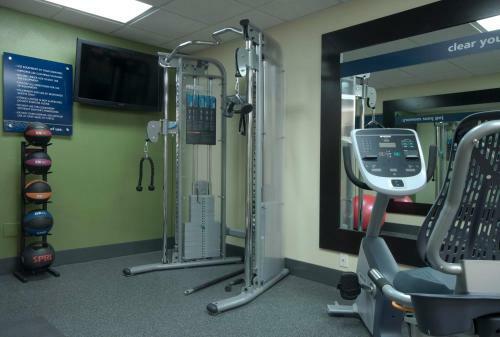 When it's time to relax the outdoor heated pool sun deck and fitness room come in handy Parking is free. 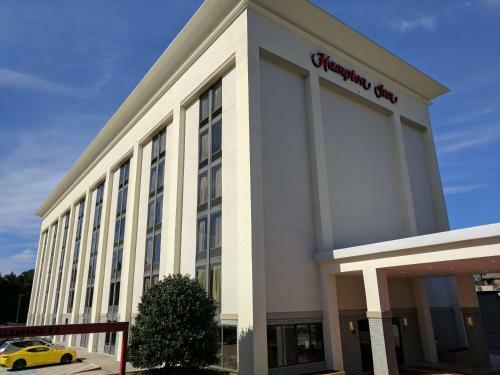 The Hampton Inn is a mile from Lenox Mall and Phipps Plaza Mall. A MARTA light-rail station with service into downtown Atlanta is a half-mile from the hotel. The Georgia Aquarium is 15 minutes away and lovely Chastain Park is less than three miles. 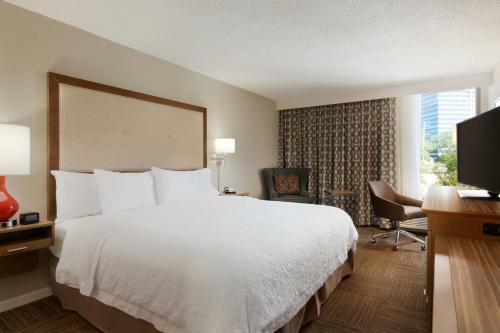 Hartsfield-Jackson Atlanta International Airport is 18 miles from the hotel. 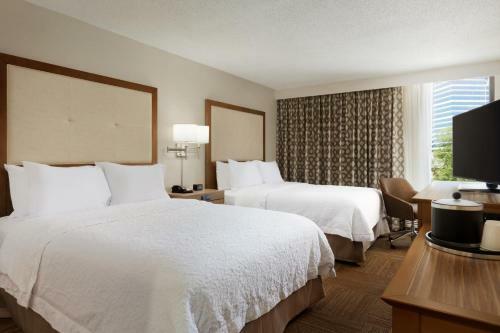 Add Hampton Inn Atlanta-buckhead to your free online travel itinerary.